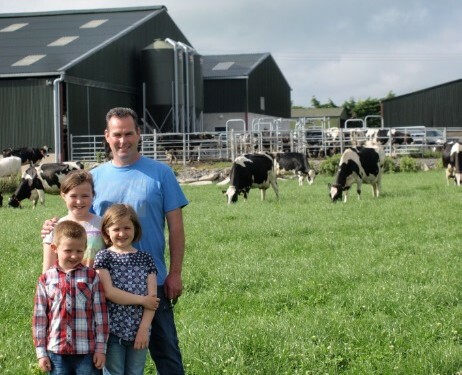 Robotic milking convert Aidan Deasy says the main benefits to his operation are the level of information and that it allows every cow perform to their best. 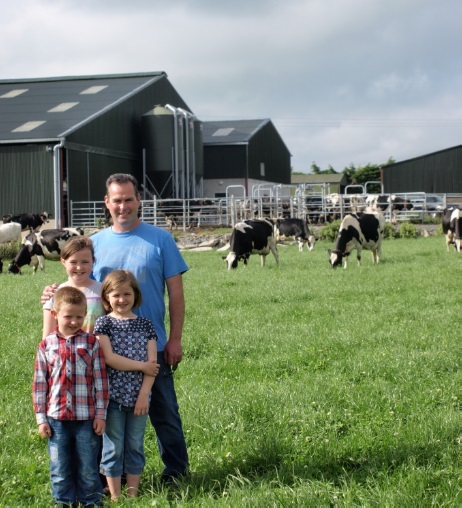 The Cork farmer is hosting an open day on his farm on July 16, and says he can easily see the performance of my herd and get every single cow to perform to her full potential. Aidan is currently milking 144 cows with two Lely Astronaut A4’s with the herd averaging 7,000L. Milk solids are 2.16kg/day on 3.5kg of meal on average. Cows are grazing full time on an A,B,C system. SCC is running at 140,000 and TBC is 2. “I absolutely loved milking cows but find the information I get about my herd from Lely’s T4C (time for cows) management program is way ahead of what I had when milking cows in the parlour. With Aidan on target to reach 1,000,000L of milk sold this year and feeding 1t of meal on average, targeting specific cows is a must. “There is too much wastage in batch feeding. Information is everything when you are trying to run things efficiently,” he says. Aidan runs the farm with the help of his herdsman John and the aim is that both work a 40-hour week. “When I am away from the farm I can see exactly what is going on with my cows on my smart phone. Installation, he says, was pretty smooth as we put the cows through the robot in groups for three days and they left them work away by themselves after that. “I would say the whole system was running smoothly within two weeks. Back up service is top class, always with Lely on call day or night. The Deasy family and Lely are inviting farmers to come and see their Lely Astronaut A4 automatic milking system at Skehanagh, Ballinhassig, Co. Cork from 12pm – 4pm. For further details please contact Brian O’Riordan on 087 9367774.